You may recall my recent story of how I met Kate of Lune Croissanterie and how my life is now a richer, more buttery perfection. Of course that was the reason! Not only that, using my charms, I managed to convince her to give me an exclusive Q&A so that my readers can better acquaint themselves with the pastry genius that she is. Without further ado, I formally introduce to you Kate Reid, Aerospace Engineer turned Croissant royalty! 1. Firstly, aeronautical engineering to pastry. What the? How do these two passions even connect? They are kind of worlds apart aren’t they!!?? There are the obvious (and quite enormous) differences between the two passions, but surprisingly there are also a lot of similarities! Since a little girl I had always loved Formula One. At school my strengths were most definitely in the maths and sciences, and for me it was a simple decision to pursue Aerospace Engineering with the view to eventually securing a career in F1. Being a good engineer requires hard work and dedication, an obsession with detail, meticulous following of process, being able to conduct effective and thorough testing and experimentation, and then understanding and being able to analyse results, learn from them, apply them to the subject under consideration, and hopefully improve it! Everything I just mentioned also applies to being a good pastry chef! It’s just that the product you are making isn’t an F1 car (or a rocket, an aeroplane, or anything else you might find an aerospace engineer designing!) – it is hopefully something wildly delicious, that will transport the consumer of said pastry to a place of pure contentment. To be able to make someone happy, even in just a very small way, is an absolute privilege. I discovered pretty early on in my F1 career that working in front of a computer for up to 16 hours a day just wasn’t the life for me. I have also always had a penchant for baking, and many trips to France really heightened my interest in, and passion for pastry. There was something so beautiful and rustic about croissants, yet it became clear to me (and my engineering brain!) that they weren’t so easy to make! I have always loved a challenge, and a small idea started to form in my mind that maybe combining my love of engineering and baking could be achieved by learning how to make viennoiseries! 2. Is there a story behind the name Lune? There are multiple stories behind the name Lune actually! At the time I was living in the UK and working in F1, my boyfriend at the time was also an Aerospace Engineer and we were both fascinated by the space race in the 1950s and 60s. For our 1 year anniversary we went to Bruges in Belgium. In the centre of Bruges we discovered a shop dedicated to Tin Tin, and in the window there was this amazing poster of one of the Tin Tin covers – Objectif Lune (“Destination Moon”). We bought it, framed it and hung it in our apartment. My boyfriend, knowing about my love of baking, often would joke that if I ever opened a bakery or café I should call it Objectif Lune. The idea stuck, and although we are no longer together, the name has lasted the distance! In order to make it easier for people to remember, I dropped the Objectif and so “Lune” was born! In discussing names, when I mentioned to my parents that I was thinking about Lune, my Mum recounted a story that when I was little (12 months – 2 years old), they would have to take me outside every single night so I could say “goodnight” to Mr Moon. It seems I’ve always loved the moon. Finally, for a pastry that is crescent shaped, the name Lune seemed pretty appropriate! 3. In your expertise, what makes a good croissant? There are a lot of croissants out there that just taste like sweet bread to me. A good croissant should totally and completely celebrate the beautiful butter that it is made with. The taste should be complex, rich, creamy, and a perfect balance between salty and sweet. You should be able to smell the butter before you even bite into the croissant. But it shouldn’t be at all greasy – if it is, then it has not been prepared correctly, or a poor quality fat has been used in the laminating process. 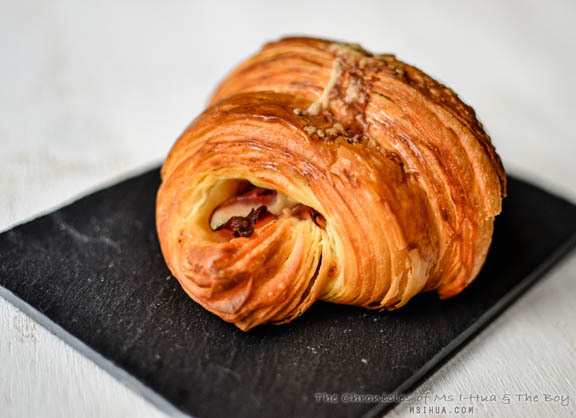 A good croissant should be able to be eaten as it is – no jam, extra butter, or any other spread you can think of. 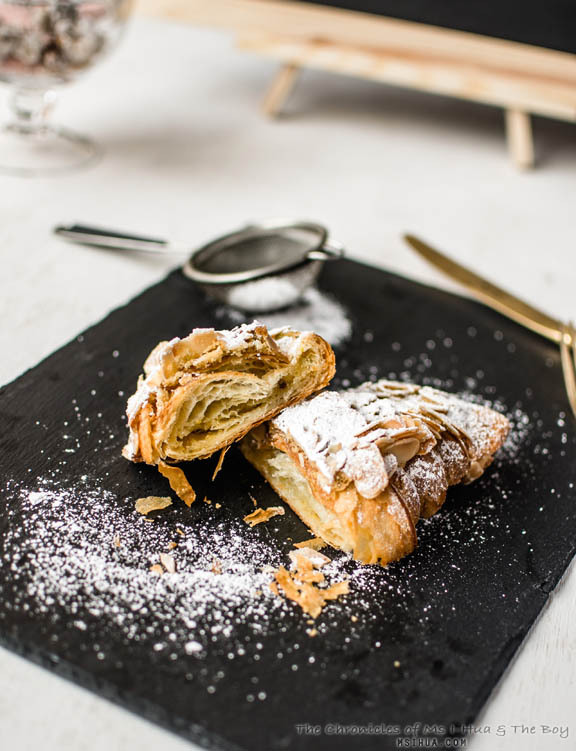 Eating a croissant should also leave you covered in a flaky, delicious mess, and licking your index finger to mop up every last delicate flake of pastry that fell to your plate. 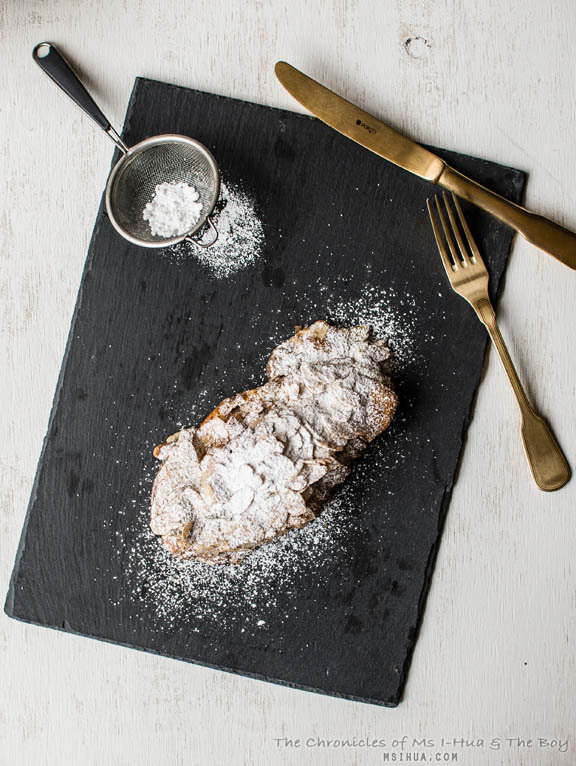 The shell of the croissant should be shiny and delicately crunchy, with a soft feathery honeycomb like texture in the centre. I’m getting hungry just describing all of this!!! 4. Having been a favourite supplier to so many cafes over the year and most recently to Patricia Coffee Brewers (where we met) and Everyday Coffee, what made you decide to open your own bakery? It’s something I had always planned to do eventually, but a recent trip to Paris made me acutely aware that, while I loved preparing and baking the croissants, I was really missing the interaction with the customers. 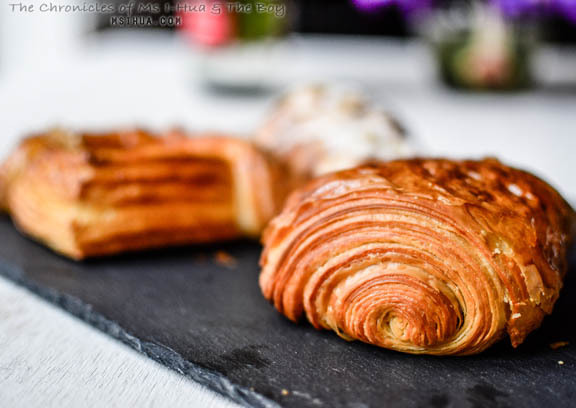 In Paris you buy croissants direct from the baker, and there is nothing quite like walking into a bakery where a tray of freshly baked croissants has just been pulled out of the oven – the smell is so enchanting! Also, at the boulangerie where I trained (Du Pain et des Idées), the owner and head baker, Christophe Vasseur, regularly works in the shop front serving customers, as he believes it is critical for the customer to be able to get to know the baker. I love this idea, and was very keen to implement something similar back in Melbourne! Many long discussions with my brother, Cam, who is far more business savvy, and has also owned a couple of very successful hospitality businesses, lead to the realisation that we probably already had the ideal site to open a “hole-in-the-wall” bakery, and after a year of supplying pastries to Melbourne cafes, we may already have a strong customer base. Cam must have seen potential, because he has now invested in Lune as a partner, and will manage all of the business related elements, allowing me to focus on the pastries! 5. 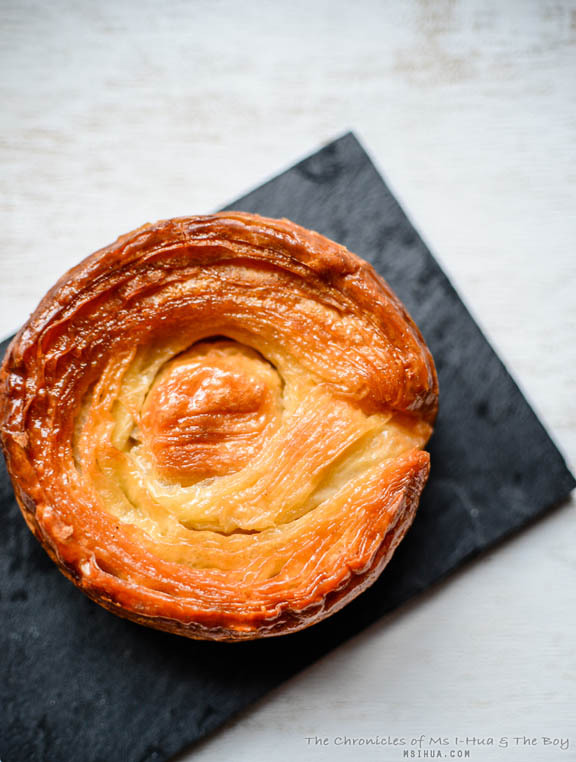 I’ve had friends who have compared you to Dominique Ansel (creator of the Cronut) for your amazing Kouign Amann pastry. How does that make you feel? No words. I was completed bowled over when I heard this. Dominique Ansel is a pure pastry magician. To be mentioned even in the same sentence is an honour! 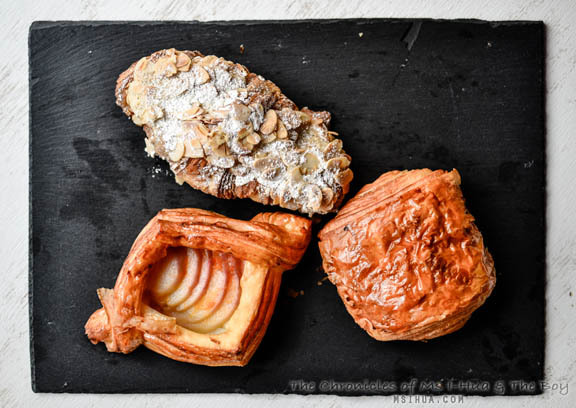 Honestly though, I am a long way from the heights that Mr Ansel has achieved – not only is his pastry offering incredibly broad, every single one of his pastries is pure perfection – this is an exceptionally difficult thing to achieve when you have a vast range, and it’s something to be aspired to. 6. Despite all your prowess in the baking arena relating to sweet treats, I know you aren’t a big sweet tooth person. What is your ultimate favourite dish to eat? Ultimate favourite food would actually probably have to be a traditional croissant! A Lune croissant is actually not a sweet pastry, I worked very hard during the recipe testing of the dough to achieve a salty-sweet balance. A well made traditional croissant with a coffee is one of my favourite breakfasts! Aside from pastries, I really love Mediterranean cuisine – the flavours of Italy, Greece, Spain, Turkey, and North Africa are some of my favourites, and after a massive day in the kitchen baking I am rarely happier than with a beautiful pasta dish. 7. Would you be able to divulge any secrets as to any new and delicious products coming out of the Lune kitchen? 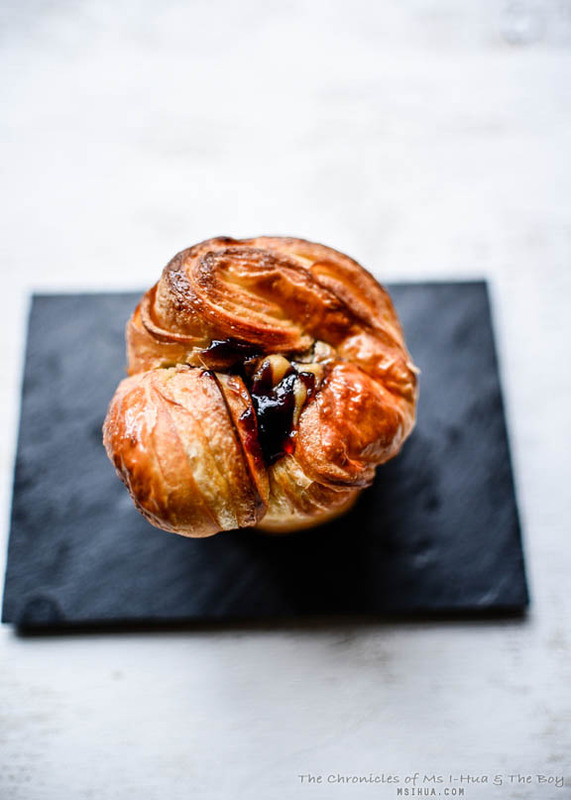 You can be sure that new and sometimes crazy cruffin flavours will make a regular appearance! We also intend to do a twice-baked special each week (last week was the Pistachio and Rosewater twice baked croissant). That being said, Lune is all about celebrating the traditional croissant, which in my opinion is the most delicious of them all! 8. What is the best thing to have happen to you since you started Lune? I’d have to say the people that I’ve met are the best thing to have happened to me. A very diverse cross section of the public love croissants, and supplying to these passionate enthusiasts has put me in touch with so many wonderful and special people, including yourself ;). I also love my morning stops at Patricia. Melbourne is so lucky to have this amazing espresso bar & I always look forward to my morning coffee with the staff & customers when I make my deliveries there. 9. Lastly, do you have any special shout outs and messages you would like to impart on my readers, your fans and long time customers that have supported you in your journey thus far? 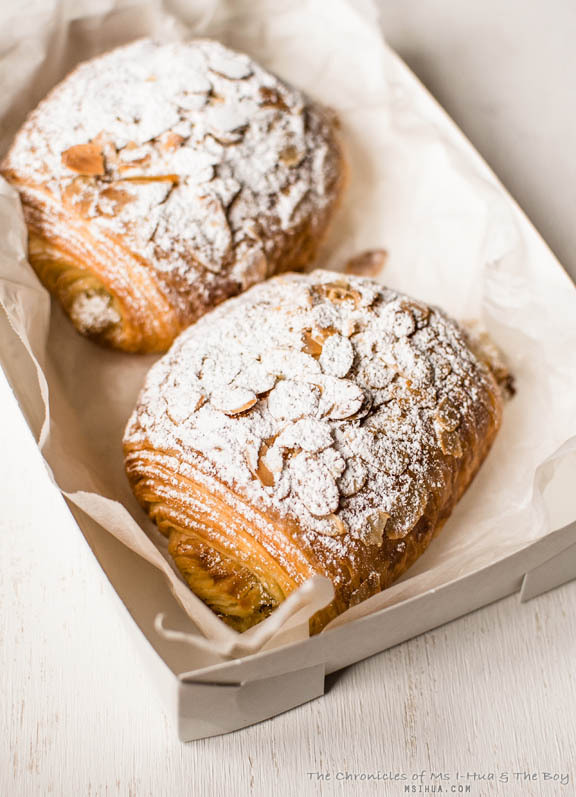 The biggest shout out has to go to the amazing cafes that made the decision to supply Lune croissants in their businesses – the first was Clement Coffee in South Melbourne. 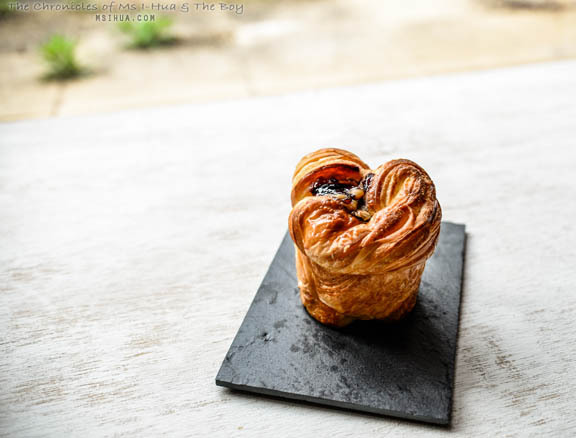 No one had ever even heard of Lune when I showed up with a Sample box of pastries at the beautiful little Scandinavian inspired fit out that is Clement! Then a select group of other cafes, including Patricia Coffee Brewers and Everyday Coffee (in Collingwood) joined the little Lune group. Each of these cafes has a very special place in my heart and I will always attribute the success of the Lune brand to being showcased on their counters. Thanks guys – you all know who you are. Secondly there are a few very special customers that I have met along the way this year that have singlehandedly changed either me, or the course of Lune. I-Hua – you are one of these few, meeting you has not only been a pleasure, and I have looked forward to our chats every morning at Patricia, but you also introduced me to your wonderful group of friends, who have wholeheartedly supported Lune, to which I am so grateful. Lyn, Tamz, Terrence, Eileen, Aaron Wood, Matt Perger, JK… I could go on and I’m sure I’ve forgotten people that are important to me, but Thank You all!!! And here are some of the Lune pastries that we purchased over the past weeks for your viewing pleasure. Do not fear! Croissants are here!!! Hi Ms I-Hua and Kate! This is such an inspirational post, it was very enjoyable to read! I am in a similar boat, about to start a new career after having studied 6 years for it, but I have recently discovered a passion for baking, and I hope to one day own a cafe or catering company in the future. I have attempted to contact dessert stores, asking if they offered observation or work experience opportunities for me to learn more techniques, however they have been hesitant to accept since I don’t have any baking or cooking school qualification certificates – which I understand, though it does dash my hopes a little each time. Is there any advice you can give me on ways that I can take a step closer to achieving my dreams? Not having any experience in the food industry, I am unsure of how or what is required for kickstarting this dream, so any advice at all is greatly appreciated. Also, I have just started my blog recently, so if either of you could take a look at it and give me any advice, or follow me at all, that would be so great! Thanks! Hi Nicole, thanks for your lovely comment. I am no pastry expert nor do I work in the hospitality industry, but I do know that if you do have that inkling to start a new career, that perhaps a start towards a Tafe course studying this would help. From there, you will be able to move on to the work experiences. 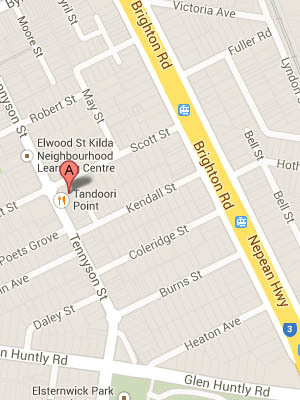 Try looking up William Angliss, Holmesglen and the likes for a new short course or a CERT III or Cert IV to help you out. Either that, you could try like Kate and go to Paris to learn 🙂 Not too sure what else you could do. This is a tough career and requires a lot of blood, sweat and tears, but if you are serious and this is indeed your dream, definitely go for it! All the best! What a wonderful, inspirational story, I just love the filling of success and fulfillment that the story evokes. …of and looking at pastries… YUM! I hope you had a very Merry Christmas. Great interview. So glad you introduced me to Lune pastries. My hips say no but my mouth says go. All in moderation but I’m definitely a #KAaddict now. Awesome post and interview 🙂 Thanks for introducing me to Kate and omg finally have KA in Melbourne woo hoo! Yay great interview and photos, DD. So interesting! Such a motivating story. I’m not brave enough!